Under the powers vested in the President by the constitution in accordance with Article 70 (3) (I) of the Constitution, President Sirisena has chose to refer Parliament in this manner. The new Sri Lankan prime minister, former President Mahinda Rajapaksa, is considered the strongman of national politics under whose presidency the civil war that ravaged the country for more than three decades came to an end. Leader Ranil Wickremesinghe stated that his party was preparing its next course of action in the event of Parliament not being reconvened this week. "The Secretary-General urged the President to revert to parliamentary procedures and allow Parliament to vote as soon as possible" readout said. It has two prime ministers, or at least two politicians both laying claim to be the sole legal head of government. It has to be mentioned that when Mr Ranil Wickramasinghe was appointed as the Prime Minister in 2015, by the present President of Sri Lanka, he had only 42 MPs backing him whereas the sitting Prime Minister had the support of over 120 MPs. Sirisena also suspended Parliament until November 16. He argues that he can not legally be removed until he loses the support of Parliament. 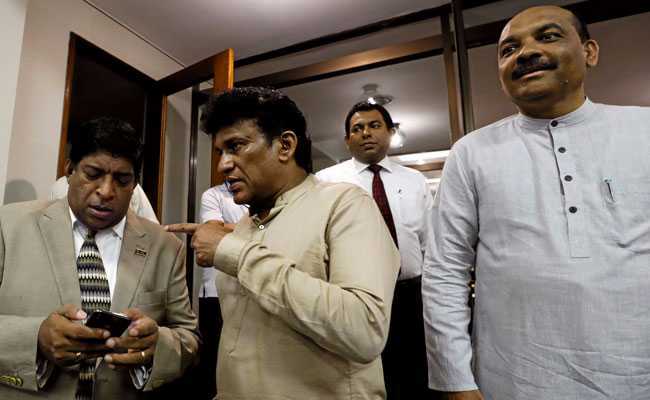 Premajayantha said that parliament needed time to prepare to meet and there was not enough time to meet on November 5.